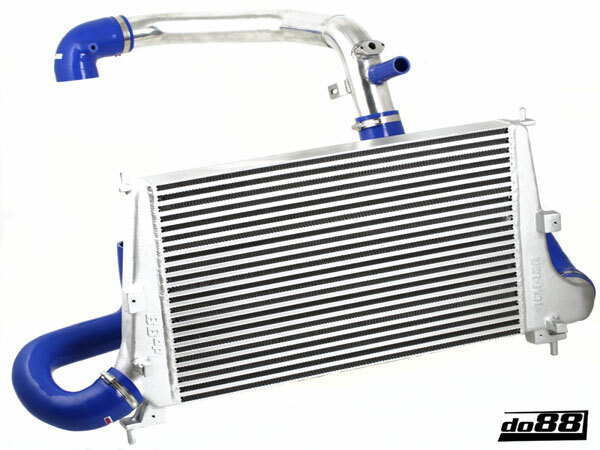 Special price package with Intercooler and Pipe Kit. Core volume: 11803cm3 (6379cm3), do88 is 85% larger! 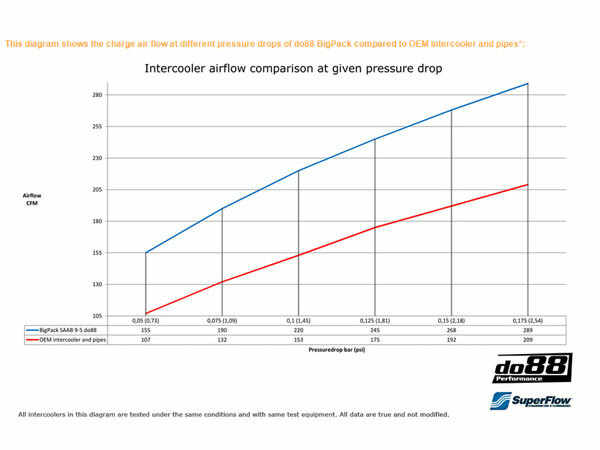 Air flow at 0,15bar/2,18psi pressure drop: 268CFM (192CFM), do88 40% higher! 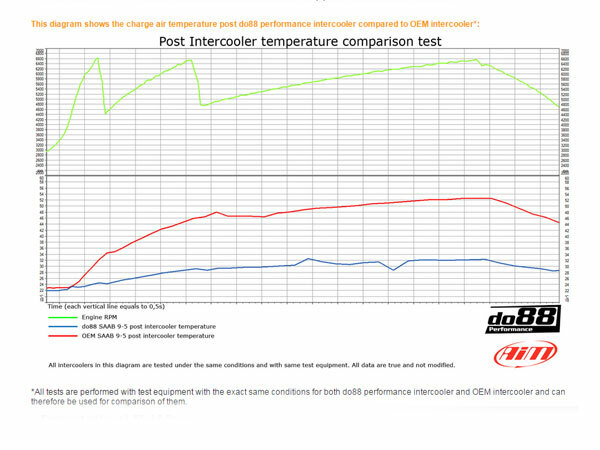 Post intercooler air temperature at same conditions: 32°C (53°C), do88 21°C lower! 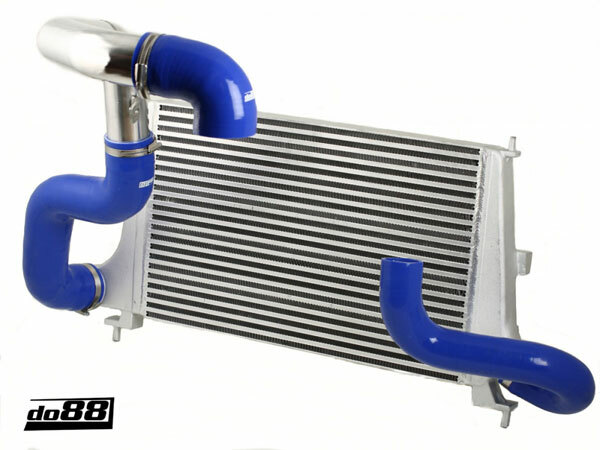 This Big Pack includes a full Aluminum Performance Intercooler, complete 2.25" Pipe Kit (mandrel bent seamless aluminum) and Silicone Hoses (4 layers of reinforced polyester/aramid). 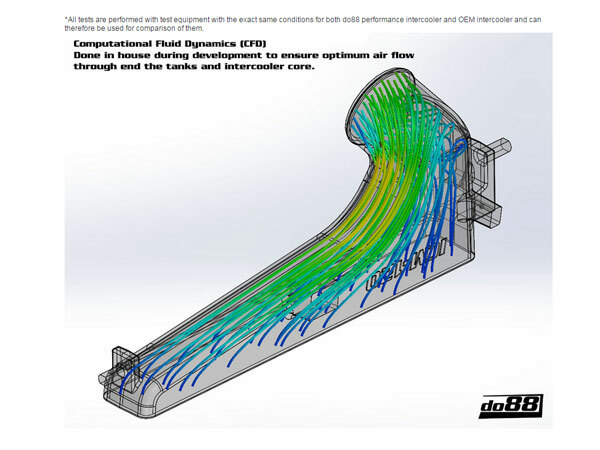 The Kit replaces everything between the Turbo Outlet and the Throttle Body hence the drastic improvement in airflow and cooling perforance.